After five months of intense competition, just five nominees remain for the coveted Best Sporting Moment of the Year Award, to be given out at this year's Laureus World Sports Awards. Each of these five winners have warded off strong competition from five other moments in their month to emerge as winners. The winner will be crowned on 27th February. 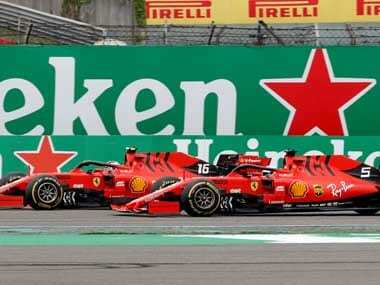 Formula One driver Kimi Raikkonen would probably rather forget his performance in the Spanish Grand Prix in Barcelona on 14th May, but for one young fan, it was the race of a lifetime. 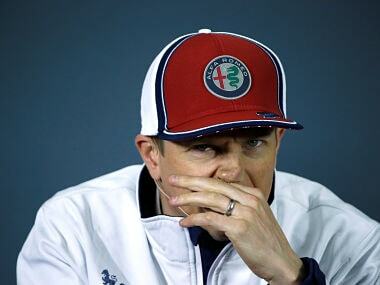 Raikkonen was forced to retire after a crash on the very first turn left his Ferrari’s steering column broken. As the disappointed Finn climbed out from his car, TV pictures showed a devastated young boy in tears in the grandstand. 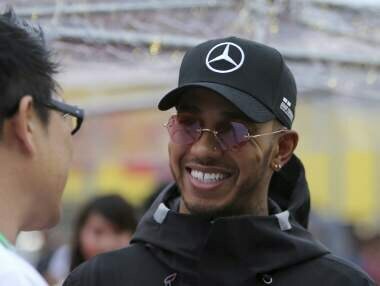 Billy 'The Whizz' Monger was chatting with Formula One star Lewis Hamilton, at the World Championship Practice Day at Silverstone just months after a horrific accident, in which the teenage motorsport driver lost both his legs. The 18-year-old suffered life-changing injuries when he crashed into the rear of a stationary car, at a Formula 4 race at Donnington Park, on 16 April. Billy was stuck in his vehicle for 90 minutes until he could be airlifted to a hospital in Nottingham, but tragically, medics could not save his legs. Mercedes driver Hamilton tweeted about Monger after hearing of the driver's injuries. Hamilton posted: “I have only just seen the news of this tragic incident. Thoughts and prayers are with you and your family, @BillyMonger”. 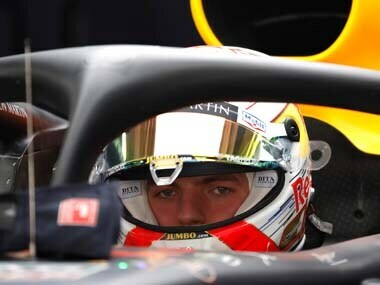 The incident shook the motorsport community and led to a fundraising campaign for Billy’s rehabilitation and recovery that raised more than £800,000 — Formula 1 drivers Lewis Hamilton, Jenson Button and Felipe Massa were amongst the supporters. Despite the accident, Billy hasn't let losing both legs scupper his motorsport ambitions. Eleven weeks after his accident, the Formula 4 driver was back behind the wheel with help from Team BRIT, which helps disabled drivers and ex-serving military to take part in motorsport. Monger drove a specially adapted car fitted with steering wheel mounted hand controls for the throttle, brakes and clutch. Speaking at the time, Billy said: "It just shows you when a tragic event like this happens how people pull together. I have still got a few years in me for sure so I want to prove how much you can do even with something like this." Bradley Lowery's smile and his incredible bravery in his fight against neuroblastoma, a rare form of cancer which primarily affects children, propelled the six-year-old into the hearts and minds of football fans around the world. Lowery was diagnosed with cancer in 2013, underwent two years of gruelling chemotherapy and became well-recognised within football following an awareness campaign run by his family named ‘Bradley Lowery’s Fight’. He made appearances as a mascot for Sunderland, Everton and England and struck up a close friendship with Sunderland striker Jermaine Defoe, who regularly visited the youngster at home and in hospital. The brave young fan lost his fight on 7th July. In a statement, Defoe said: "Goodbye my friend, gonna miss you lots. I feel so blessed God brought you into my life and had some amazing moments with you and for that I'm so grateful. I'll never ever forget the way you looked at me for the first time, the genuine love in those cute eyes. Really finding it hard to express what you mean to me. The way you say my name, your little smiles when the cameras come out like a superstar and the love I felt when I was with you. Your courage and bravery will continue to inspire me for the rest of my life. You will never know what a difference you made to me as a person. God has you in his arms and I will always carry you in my heart. Sleep tight little one. My best friend." The Lowery family invited anyone touched by Bradley’s story to his funeral. They said it was "open to everyone who would like to come and celebrate Bradley’s life and pay their respects to show him how much he was loved. You can wear whatever you want for the funeral but the family and friends have chosen the theme cancer has no colours." On 28 November, 2016, LaMia Flight 2933 left Bolivia for Colombia. It was carrying the players of Chapecoense football club from Brazil to the Copa Sudamericana final — the first appearance in the club's 44 year history. The plane crashed as it approached the airport. Only six of the 77 passengers survived, including three players. In Medellin, instead of the first leg of the final, there was a memorial, attended by 50,000 local supporters. "This title belongs to Chapecoense and we will be happy as runner-ups," Atletico Nacional’s coach Reinaldo Rueda conceded. "They arrived with a dream. They will leave as legends." The Brazilians soon got the message and — in tears — 20,000 fans celebrated the posthumous title inside the Arena Conda in Chapeco. The challenges to Chapecoense in 2017 were many, way beyond just rebuilding a team. The generous decision by Atletico Nacional to cede them the Copa Sudamericana trophy did put the decimated outfit into the prestigious Copa Libertadores for the first time, but they were knocked out in the group stage after being docked three points for fielding a suspended player. Chapecoense won their local state league in May and are now fighting to stay in the Brazilian top flight. One playing survivor — defender Neto — looks likely to be able to return to a relatively normal life one day. Goalkeeper Jakson Follmann faces a much sterner challenge after having part of his right leg amputated, and has since taken another job at the football club. Follmann said he hopes to one day compete in the Paralympics. On 7 August this year, another miracle happened: for the first time since the tragedy, the 27-year-old defender Alan Ruschel, who had surgery to repair a spinal cord injury, returned to the field against FC Barcelona in a friendly at Camp Nou. Ruschel played the first 35 minutes of the match before being subbed out and receiving a standing ovation. Iowa's Kinnick Stadium has a seating capacity of 70,585, which gives the Iowa Hawkeyes incredible strength in numbers in one of the coolest new traditions in college football. The stadium is located next to the new University of Iowa Stead Family Children's Hospital and hospital patients have a view that overlooks the sea of gold and black on game days. For years, the Hawkeyes and their fans have raised money for the hospital with their "Touchdowns for Kids" campaign in which fans are encouraged to donate as much as they like for every Iowa touchdown score during the season. The Hawkeyes have also welcomed a "kid captain" from the hospital to join the team on the side-lines during home games, so the history between the school's football team and its hospital has been rich. What started as a fan suggestion on an Iowa Facebook fan page has now turned into a full-blown movement: Iowa fans collectively waving to the top floor of the hospital, where the children and their families gather to watch Iowa, at the end of the first quarter during Hawkeye home fixtures. Then, on 7 October, before Iowa's 45-16 win over Illinois, the Hawkeyes took the wave a step further. The Iowa marching band spread out in the form of a huge hand on the field, pointed towards the hospital, and waved in unison to their on looking fans. What a special moment!